Robin understands the highs and lows of the real estate market. Despite the media's frequent evaluations of the industry, including "it's a buyer's market," or "it's a seller's market," Robin believes each buyer and seller create his or her own market. How Robin started his real estate career: Robin purchased his first residence in Signal Hill, California and after a few years moved out and convert it to a rental property. He made the transaction appear so seamless that his friends and relatives began to approach him for help with their own real estate transactions. Within a short time, Robin's real estate career was born. He frequently attends industry seminars, and teaches classes to newer real estate agents at his Long Beach office. 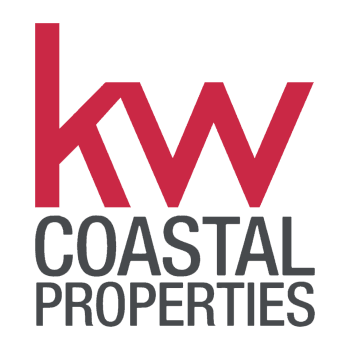 Established in 1978, Keller Williams Realty is the leading company in the business. When you decide to sell your home Robin will show you a full range of services that he provides to get your home promoted and sold in the shorter possible time. Keeping in mind that his sellers have a life to live during this process and keeping their wishes and concerns on the forefront is key to a great relationship. When working with a new client, Robin makes it clear that that client doesn't just have him working on the transaction; Robin has developed several key relationships with other business professionals – all with the goal of providing excellent customer service and transactional expertise solely for the client's benefit. • Preferred Lender: Analyzes the financial situation to create a mortgage with the client's specific needs in mind. • Transaction Coordinator: Maintains the file, maintains contact with the other agent and with escrow, and ensures the broker file adheres to BRE standards. • Jasmin Duran, Short Sale Liaison: Maintains communication with whose he formed The Estate Team, is well versed in Trust and Probate sales. Tighter they have key relationships with Probate Attorneys, Fiduciaries and Paralegals. • Tim Weidenkeller, Homeowners Insurance: Provides necessary coverage, meeting transaction requirements at a competitive price. • Kelly Unger-Wirchack, California Sunset Escrow. Born and raised in the Netherlands, Robin met his beautiful wife Elizabeth in Munich in the early nineties. Robin recalls with a smile, "It was love at first sight." Happily married for the past 17 years, Robin and Elizabeth currently reside in Long Beach, California. In Robin's spare time, he enjoys walking Eland and Maaike, the couple's adopted German Shepherds, bike riding, reading, gardening, and traveling. For any Real Estate needs whether it is locally or (International) relocation, I am able to assist you with a smooth transaction. Contact me any time for any Real Estates needs! "Let me exceed your expectations!"